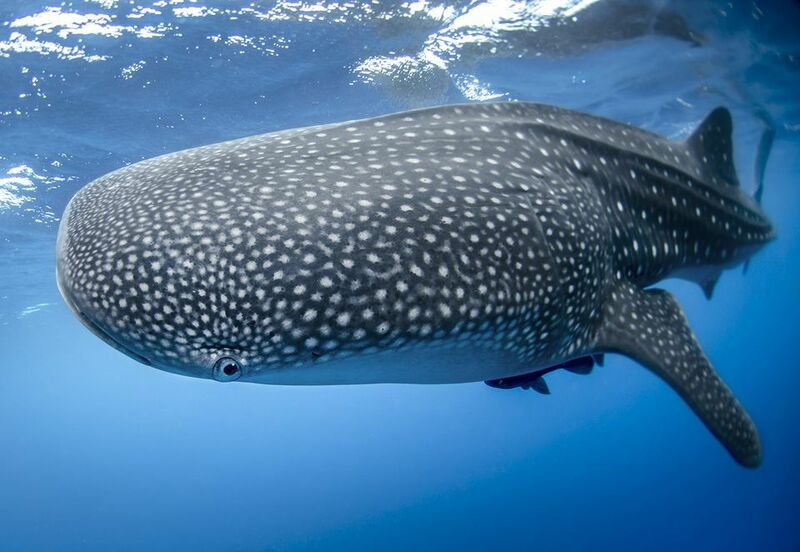 MANILA, Philippines - The iconic marine animal locally known as “butanding” or whale shark has been classified as “endangered” on the International Union for Conservation of Nature (IUCN) Red List of Threatened Species. This classification means that the butanding, which was previously listed as vulnerable, has moved one step closer to extinction along with winghead sharks. Meanwhile, Bornean orang-utans are now just a step away from becoming extinct after being listed as critically endangered. Jane Smart, Director of IUCN's Global Species Programme, said she is alarmed that the population of “emblematic” species are declining to become extinct. Over the last 75 years, the butanding, which is considered as the world’s largest fish have decreased to more than half as a result of increasing human pressures particularly large-scale fishing in areas such as southern China and Oman. Moreover, the butanding also get injured and killed by ship propellers. In the Philippines, which is one of the countries often visited by these migratory species, interaction with the butanding through swimming boosts ecotourism in Oslob, Cebu and Donsol, Sorsogon. In fact, Time Magazine tagged the Donsol swimming experience with the butanding as the “Best Animal Encounter in Asia” in 2004.